The director of the institute noted that, while ten years ago the level of the Caspian Sea was 27 meters below the world ocean level, now this figure has reached 28 meters. 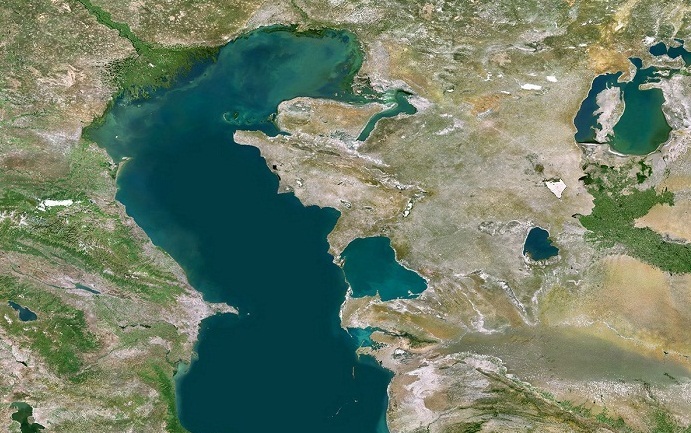 Mammadov added that in recent years, the level of the Caspian Sea has been declining annually by about ten centimeters. Mammadov stressed that the fall in the water level of the Caspian Sea has a negative effect on the marine flora and fauna. “With water level decreasing, the volume of the shelf zone of the sea decreases, therefore the habitat of representatives of the animal world living in the shelf zone is narrowed. Their food supply and oxygen volume decreases,” Mammadov stressed. It is difficult to say how long the decline in the water level of the Caspian Sea will continue, Chingiz Ismayilov, Head of the "Caspian" Scientific Research & Information Center at Baku State University told Trend. Ismayilov noted that when conducting construction work and laying communications lines, it is necessary to take into account that the amplitude of the rise and fall of the Caspian Sea level varies between 1-1.5 meters. "Otherwise, when the water level rises, the problem of flooding arises, and when the water level drops, the problems in implementation of agricultural work surface," he said. Ismayilov noted that the Sun's activity also influences the change in the level of the Caspian Sea. "But it is wrong to relate it only to the activity of the Sun," he said.